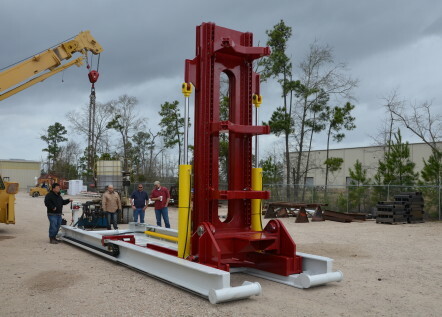 The BOP Handler does exactly what its name says: it "handles" the BOP stack, so you don't have to. 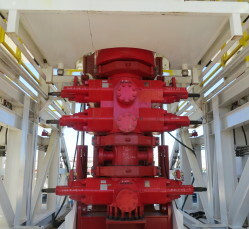 It simplifies an often cumbersome task and expedites rig up and rig down. 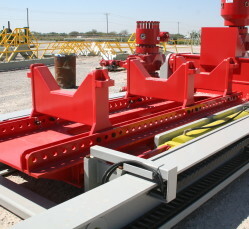 The hydraulically operated cradle raises the BOP stack and presents it to well center. Once laid down with the stack, it makes a convenient transportation skid. © Copyright 2015 Veristic Manufacturing, Inc. & Veristic Technologies, Inc.